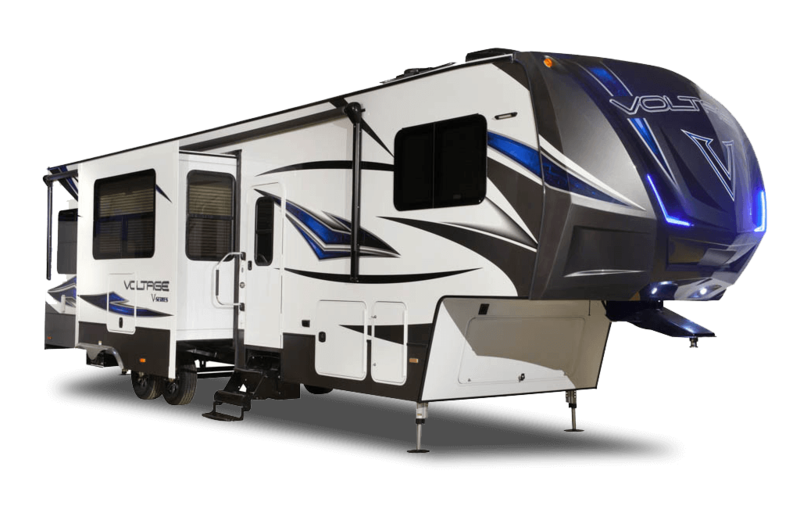 The Voltage V-Series matches unsurpassed toy hauler features with luxurious RV living. V-Series features walk-in showers, large master bedrooms, innovative sleeping areas, and ample storage. The V-Series has an abundance of windows which makes for a great view no matter where you’re parked. Other features include solid surface countertops, optional stainless steel refrigerator, and multi-use garage area.